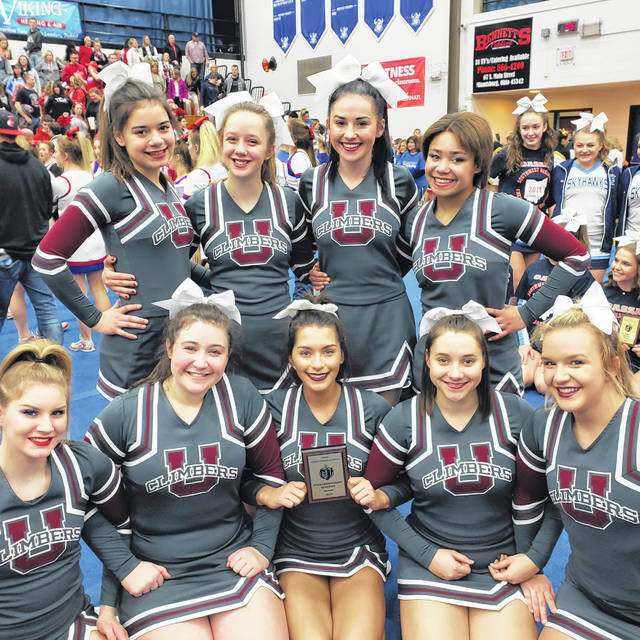 Urbana High School’s competition cheer squad competed at the OASSA Regional competition at Miamisburg High School and earned a spot at the OASSA State Championships. The group will compete on March 10 at the Ohio State University/St. John Arena. Team members are, bottom row, Haley Johnson, Mary Habodasz, Brayden Andrews, Mari Artis, Ally Pierce, top row, Kaeleigh Bean, Joplin Sloat, Madison Dyer and Madi Jordan. The team is coached by Jenny Payne.